The Centre is keen on interlinking rivers to ensure better flood and drought management and solve water crisis in the country. Interlinking involves the process of diverting surplus river water through a network of canals to relatively drier areas either within a state or among two or more states. Since the time it was rooted, the idea has generated a lot of debate due to its supposed negative environmental impacts. After declaring the first inter-state interlinking of rivers, the Ken-Betwa link, (involving Uttar Pradesh and Madhya Pradesh), the Centre is looking forward to announce more such projects. The topic has been raised in every meeting after the Narendra Modi government came to power last May organised by the Ministry of Water Resources, River Development and Ganga Rejuvenation. In April this year, the Centre had even constituted a special task force to look into the interlinking issue. Just when the National Democratic Alliance’s (NDA) previous term came to an end in 2004, the inter-linking project faced a barrage of criticism from activists and environmentalists on the ground that such an idea would be environmentally damaging. There was another big hurdle. Those states which had surplus water were not in a mood to share the precious resource with others. Water is a state subject and the project got stuck due to the lack of consensus among the states to share it. In 2005, the National Water Development Agency (NWDA), which was in charge of preparing the detailed project report (DPR) of the project, along with the feasibility and pre-feasibility reports, requested the states to weigh the idea of intrastate river linking. 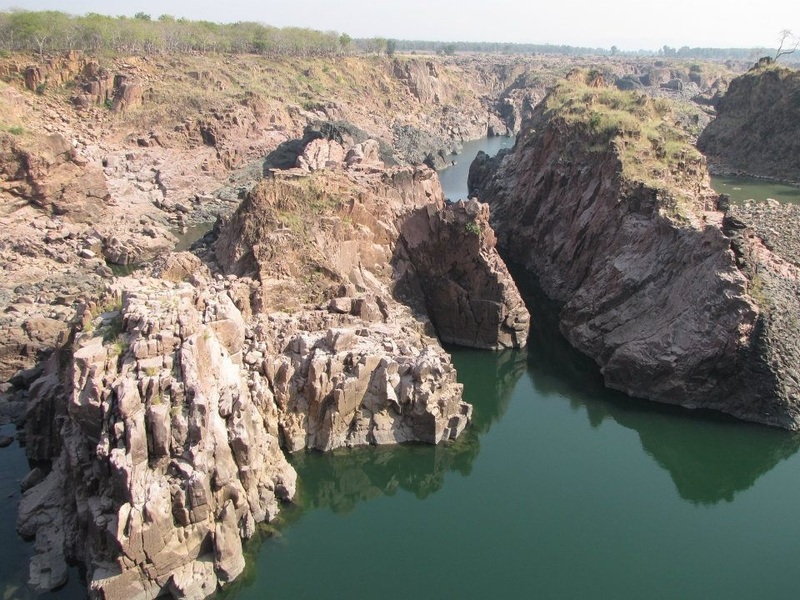 The intrastate river linking project was conceptualised to overcome the problem faced by the Centre in making two states agree on sharing water as part of the inter-linking process. The interlinking project include three components: the northern Himalayan rivers interlinking component, the southern peninsular component and the intrastate river linking component. A few projects, which are part of the intrastate river linking concept, have already been listed on the NWDA website and action on them has already been started. There are 15 such projects in Maharashtra, four in Gujarat, three in Jharkhand, six in Bihar, two in Rajasthan, six in Karnataka and one each in Chhattisgarh and Tamil Nadu. In the beginning of this year, the water resources ministry allocated about Rs 900 crore for three intrastate river linking projects in Bihar. Out of this, around Rs 500 crore has already been released. According to sources, the money has been mobilised through the World Bank loan. The projects that will be started first are the Burhi-Gandak-Ganga-Noon project, Kosi-Mechhi project and the Sakri-Nata projects. The DPRs of all the three projects have been completed. Thus, Bihar is all set to get its first intrastate river linking projects. Ajay Kumar Singh, the assistant engineer of the water resources department, Government of Bihar, said that the DPRs of two projects had been submitted to the Central Water Commission (CWC) for approval. The state first approached the Centre with 15 projects, but only six were considered. Bihar projects: A boon or bane? The intrastate river linking projects of Bihar look forward to both flood management and irrigation (see table). Bhagwati Prasad, the director of the Indian Council of Agricultural Research (ICAR) feels that for the state, these projects are very important. According to him, the case of Bihar is peculiar as there are both drought-and-flood-prone districts. “It’s time we think of balancing flood and drought together. This can be done by management of excess water. Thus, the intrariver linking projects would be immensely helpful for the state. We need to work on flood management and irrigation at the same time,” he added. Managing flood in Bihar has always been a challenge. The state is the third largest in terms of population (as per the 2011 Census) and is one of the top five flood-affected states in the country, according to the National Institute of Disaster Management. Bihar’s water resources development shows that out of the total area of 93.60 lakh hectares in the state, around 73 per cent gets affected by floods. The northern part of the state is the most vulnerable. The solution to tackle floods in Bihar was building long embankments. According to the ICAR, building long embankments became a common feature by the 1970s, and along with that, floods also became regular. ICAR says that more than 3,500 km of embankment already exists in the state. Although the government claims that these embankments have saved the situation, there are other theories too. An ICAR publication says that the main problem of embankment is congestion of drains. In such a case, recession of flood water takes a long time. The commission analysed flood damage data between 1968 and 1991 and embankments were recognised as only short-term measures and government departments thought linking rivers in the northern part of the river with the water-starved southern part was the best solution. Interestingly, the DPR of the Burhi-Gandak-Ganga-Noon project is the first such one taken up by the NWDA which was completed in 2013. The DPR of the Kosi-Mechi project was completed in 2014. The aim of the Kosi-Mechi project is to provide irrigation to the water-starved districts during the Kharif season. Nemi Chand Jain, the director (technical) of NWDA, who is engaged directly in the intrastate river linking project, said once the comments pour in from the CWC, the implementation process would start. Only a preliminary Environmental Impact Assessment (EIA) study has been done as part of the DPR preparation and a detailed EIA study is yet to be carried out, he added. A 76-km lining canal as an extension of the already existing Eastern Kosi Main Canal (EKMC) system of the Kosi project planned in 1954. Later on to be connected to the Kosi High Dam. The DPR report of the Burhi-Gandak-Ganga-Noon says that only 10 per cent of the proposed flood discharge will be diverted and not the entire water. The report also says that the project will not have any negative environmental impact such as dislocation of human settlements or floods. 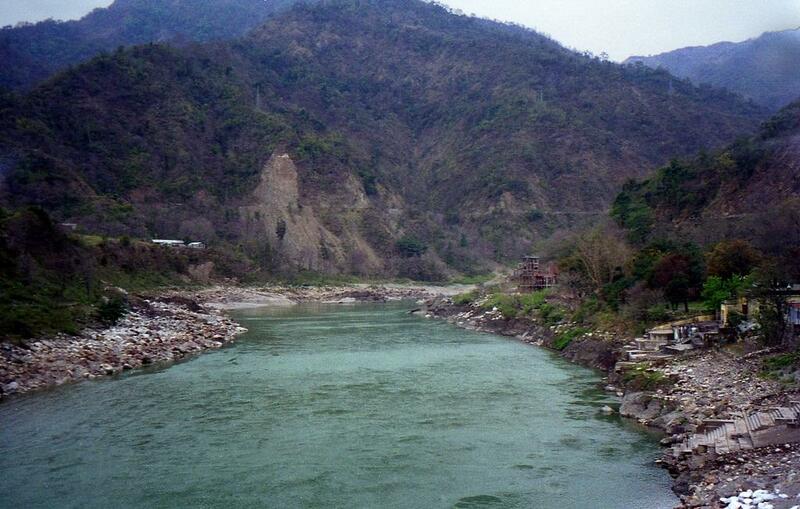 The Kosi-Mechi link is a contour canal, and thus, the link will cut through several rivers and rivulets. As part of the project, a multi-purpose high dam will be set up across the river in Moran district of Nepal near Barakhshetra village. The total storage capacity of the dam will be 9,370 million cubic metres which will help in generating 3,000 mega watt of hydro-electricity. The South Asia Network of Dams, Rivers and People, a non-profit, says that the dam will submerge 19,063 hectares of land in Nepal. 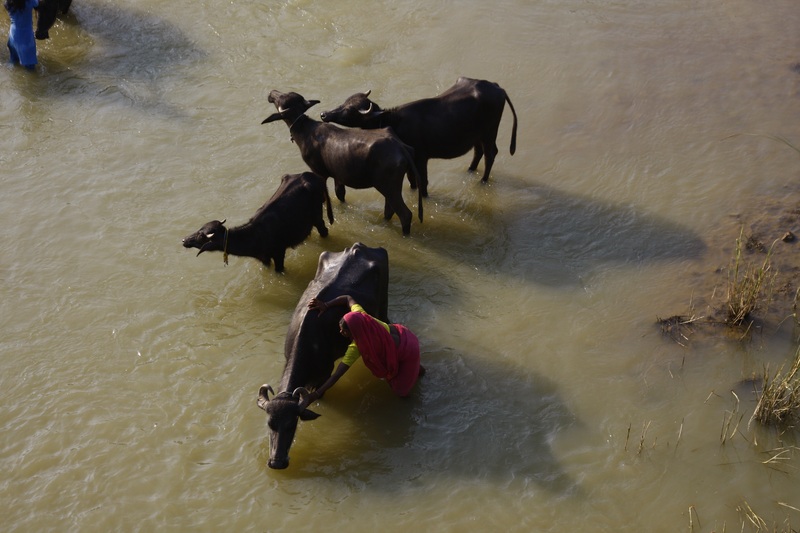 Dinesh Kumar Mishra, the convener of Barh Mukti Abhiyan, a Bihar-based grassroots NGO, feels that these projects of transferring water will fail as the topography of the northern districts, except Champaran, is flat. The slope is only 1:1000 in average for north Bihar. The water will not easily get transferred (as gravity will come in the way of transfer) and water logging will be inevitable. Locals residing near the channels will also be affected due to the accumulation of soft sediments. As the water will flow through the channels, it will erode the soft soil below and increase the risk of flooding in the surrounding areas, Mishra added. Prasad added that the inter-linking channel should only involve digging and not digging and filling of the channel with sediments. When asked about the displacement factor, Mishra said the northern states in Bihar had a density of around 1,100 persons/km. So, it is not possible that people around the channels will not be dislocated. Land will also be acquired for disposal of silt from the channels, local environmentalists say. It is not clear in the preliminary report of the EIA whether the projects have plans for silt disposal. If CWC finds problems with the project, then those problems will be rectified and it will undergo a detailed EIA, according to Mishra. Jain said, “We will surely talk about the scientific dredging process and disposal system. We are very careful about the environmental impacts. It is not clear how the World Bank approved the money for implementation when the project is yet to cross the EIA process. “This only shows that the Centre and the states are determined to implement the project, says Mishra. The farmers and the villagers are not aware about the situation,” Mishra added. Not only the interstate river linking project, even the intrastate river linking project is facing criticism. It is not clear whether we need them as they are proving to be more of a disaster than of actual help, according to activists. Experts feel that flood management in north Bihar can be sorted out by managing sediment load in rivers and drainage network, and for this Bihar does not need water transfer through canals, Mishra said. China, which also faces recurrent droughts and floods simultaneously, started its south-north water transfer project to transfer extra water from the southern part to the dry northern part. The water transfer is not within the same province, but it is a inter-province idea. The project has dislocated farmers and even increased the incidence of drought in some parts of the southern province where rivers are already running dry. Environmentalists there still prefer indigenous solutions to tackle the crisis. To stop the complications of the interstate river linking consensus in India, there is now more focus on the intrastate linking project. However, the environmental hazards created in both the cases will be equal, feel experts. 1. The Rs.5,60,000 crore price tag is a hefty one. For reference, it's a third of the annual budget for FY 13-14. Even spread out across the life-time of the project, it is a considerable amount. 2. The percentage of population that will 'directly' benefit from this type of project is comparatively small, as general population distribution is by default concentrated near areas that have abundant water. 3. The impact on eco-systems would be great, and mostly negative. Submerged forests, lost animal species, and large-scale human resettlement would need a lot of resources to manage and offset. Inter or Intra linking of rivers is a necessity for our Water Resource Management - we need to manage our huge surplus waters to mitigate floods and droughts and align it for productive use. Besides politics or inventing political arguments against ILP what are the technical objections that cannot be handled.